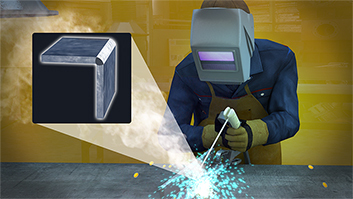 This course will discuss the many different types of arc welding cut types. It will cover oxyacetylene flame cutting and equipment, safety guidelines when using oxygen and acetylene, flashback arrestors, operator variables, the definition of plasma cutting plasma cutting equipment, and cut quality. 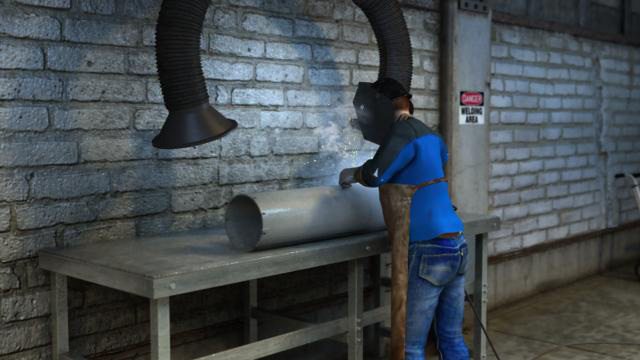 Oxyacetylene welding, commonly referred to as gas welding, is a process which relies on the combustion of oxygen and acetylene. What safety guidelines should you follow when working around oxygen? 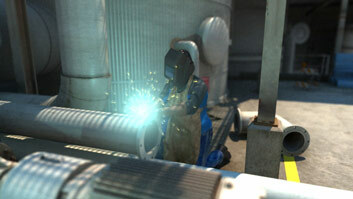 The following should be considered when working around oxygen: if oxygen comes into contact with oil or grease, it will burst into flames; never use oil or grease on oxygen cylinder valves or regulators; make sure hands and gloves are free of oil and grease before handling cylinders; crack open the cylinder valve then close it before installing the regulator to clear the valve of any dirt. What is the primary function of a gas regulator? The primary function of a gas regulator is to control gas pressure. It reduces the high pressure of the bottle-stored gas to the working pressure of the torch and maintains the pressure during welding. Plasma cutters work by sending a pressurized gas, such as nitrogen, argon, or oxygen, through a small restricted opening (the nozzle). In the center of the nozzle is a negatively charged electrode. When power is applied to the negative electrode, the tip of the nozzle is touched to the metal. The connection creates a circuit. How do you determine what a quality plasma cut looks like? Quality plasma cuts should have smooth faces with dross or slag that is easily removed. For superior cuts on stainless steel and aluminum, a plasma gas other than compressed air might be necessary.